Most of the time, Mercedes owners don’t experience any issues on the road, but in some cases, it happens. Nothing puts a damper in your day like a flat tire, empty gas tank, or a dead battery. Don’t let this happen to you. If you are an eligible Mercedes-Benz owner, look into our Mercedes-Benz Roadside Assistance benefits! It’s better to have the option of roadside of assistance than to live without it! 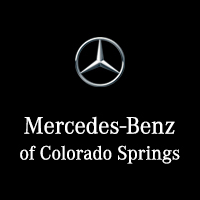 To access Mercedes-Benz Roadside Assistance downloading the app or push the Wrench Button on mbrace®. Mercedes-Benz Roadside Assistance will respond to your call instantly! Mercedes-Benz doesn’t stop there! They even provide towing services for cars that just can’t get back on the road. Mercedes will call any one of the nearby authorized tow company and send them to assist you! Don’t let this happen to you! Find out if you qualify for Mercedes-Benz Roadside Assistance or visit the Collision Center today for a list of centers near you.